Heritage Day this Sunday means we get to celebrate all things South African. Here are a few suggestions to help you enjoy our beautiful city and surrounding winelands this long weekend. Big news and something cultural, is the grand opening of Zeitz MOCAA – the Museum of Contemporary Art Africa. Members of the public can enter for free this weekend so don’t miss out. Located at the V&A Waterfront in the former grain silos, the massive nine-storey space has undergone a state-of-the-art overhaul and will house 6 000 square metres of exhibition space across seven levels, as well as a restaurant area in the Museum Café, and a charming Sculpture Garden. Sounds amazing and a definite to do! If you are feeling energetic and wish to see the extraordinary beauty of our city why not climb Lion’s Head early morning and watch the sunrise. It is totally worth it and you can reward yourself with breakfast and coffee in Camps Bay afterwards. For an even bigger challenge hike Table Mountain and organise an exhilarating abseil once you have reached the top. We can organise both for you and you can enquire here! Another favourite is to go sea kayaking to Boulders to see the penguins. Even if you are a local it is an extraordinary experience seeing the coastline while paddling on the water. After so much activity it is time to relax and enjoy good food with your favourite family and friends. Tobagos at the Radison Blu Hotel Waterfront, are hosting a traditional South African braai from 12:30 until 15h30. The lunch buffet menu is available for R395 per person and the entire family is welcome to join. Soak up the sunshine with one of Cape Town’s most striking views! Shimmy’s Beach Club will be offering a special lunch menu to celebrate Heritage Day. As per tradition, the resident DJ’s will set the laid-back, vibe from the beach – playing a selection of local music. Guests will also receive a complimentary mini-massage from the ladies from Mangwanani, The Original African Spa to unwind on the Restaurant Deck! Wow – yes please! Our beautiful winelands beckon and are always a wonderful way to spend any weekend. This Heritage Day weekend there is plenty to choose from. 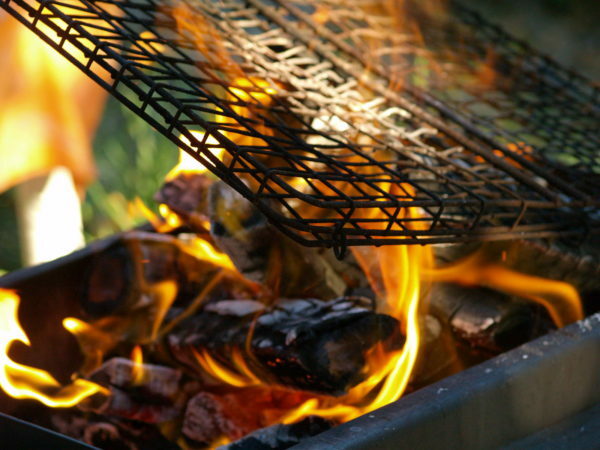 Backberg will be offering a Braai Day-inspired Sunday feast at R300 per person. Children below the age of 12 receive a discounted rate and will be charged at R100. This feast will include all the traditional favourites as well as the ultimate braai basics. At Boschendal – the wine estate is hosting the most amazing open-air Ox roast feast in front of Boschendal’s historic Rhone Homestead, on the Rhone lawns which boast the largest Heritage Rose garden in South Africa. Delheim will be offering a slow roasted lamb shoulder hot pot (potjie), spring vegetables, Krummelpap, pickled spekboom, lamb red wine jus incl glass of Pinotage for only R185. In addition, they’ll also have the live Marimba band playing on the estate that day. I can’t decide which sounds more amazing! For nature lovers, CapeNature is once again providing free access to all of their reserves to day visitors between the 18th and the 25th September. Head off to explore the Western Cape province a little more closely, whether it’s the Garden Route, the Overberg, the Winelands , the Karoo or the West Coast, you’ll be able to visit one of a number of CapeNature nature reserves that have been recognized by UNESCO as World Heritage Sites. Whatever you end up doing enjoy being proudly South African and have a great weekend!